Our Removable Storm Panel Systems give your home, apartment, or office the strongest, most affordable protection against violent weather conditions. Storm Panels are made of aluminum lightweight and/or Galvanized Steel yet high impact resistant. 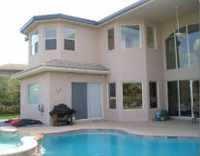 When installed on every window and door, your home is secure during severe Hurricane and weather conditions. 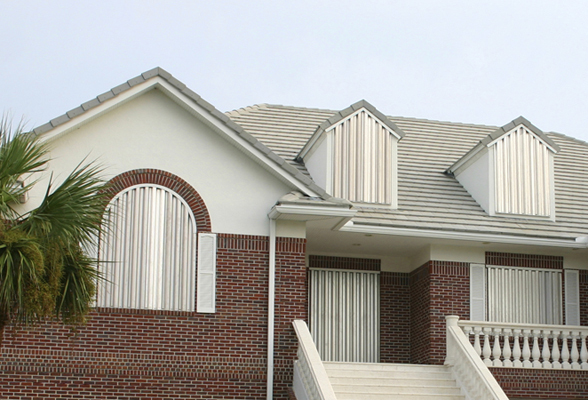 Panels are the most economical storm protection system. 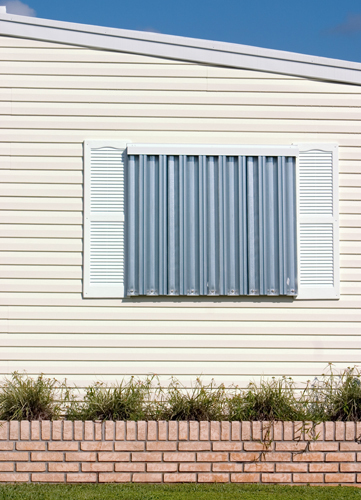 They are roll-formed and corrugated from high-strength aluminum/steel alloys and provide your property with the finest Hurricane protection. Unlike plywood, they can be reused indefinitely and can be installed horizontally or vertically. Very reliable, these .050 or .063 gage panels are easy to mount and can be stored compactly. These removable 12" wide panels when mounted vertically are mounted by slipping them into an aluminum top header and are fastened into the bottom-studded angle using wing nuts. Polycarbonate Clear Panels are a Clear option and alternative for providing day light and clarity to the house when all openings are shut, as well as for those who want to “Just ride the storm”. These Clear Panels can be combined with the regular metal Panels to provide day light in time of Storm, yet another product that will provide a great way to protect your home from Hurricane force winds, rain, and flying debris and let the light in during a Hurricane or Tropical Storm. These panels have been approved by the most stringent Miami-Dade and Florida Building Code missile-impact tests.